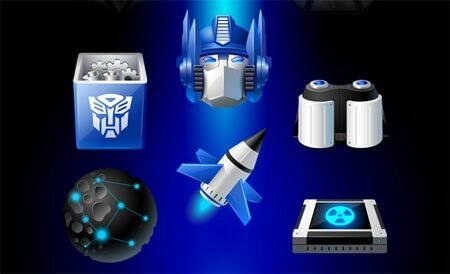 This iconpackager file is based on Apple’s Leopard icons. 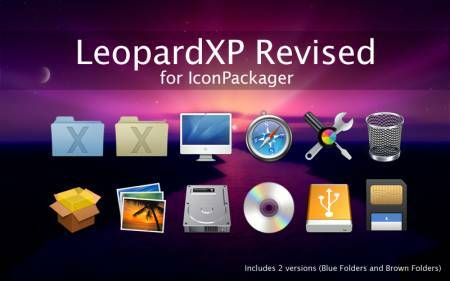 This is a revised version of LeopardXP with more icons and packed a bit differently since I was not happy with the previous one though I’m leaving it up just in case people prefer it. The download includes a zip with two IconPackager files, one with blue folders and the other with brown folders. Background used for preview is wallpaper based on Aurora River Wall by neodesktop found here.